Internationally acclaimed, Jenny Holzer is one of the most prominent and original American artists today. She belongs to the feminist branch of a generation of artists that emerged in the 1980s, looking for ways to make narrative or commentary an implicit part of visual objects. Text-based light projections and the public dimension have been integral to Holzer’s practice; her large-scale installations have included advertising billboards, projections on buildings and other architectural structures, and illuminated electronic displays. 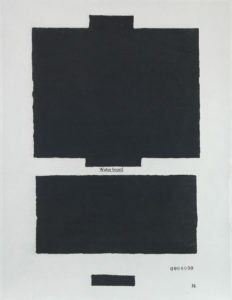 In more recent years, Holzer has returned to her painting roots with the Top Secretseries (the print for Art Gems is based on this body of work). 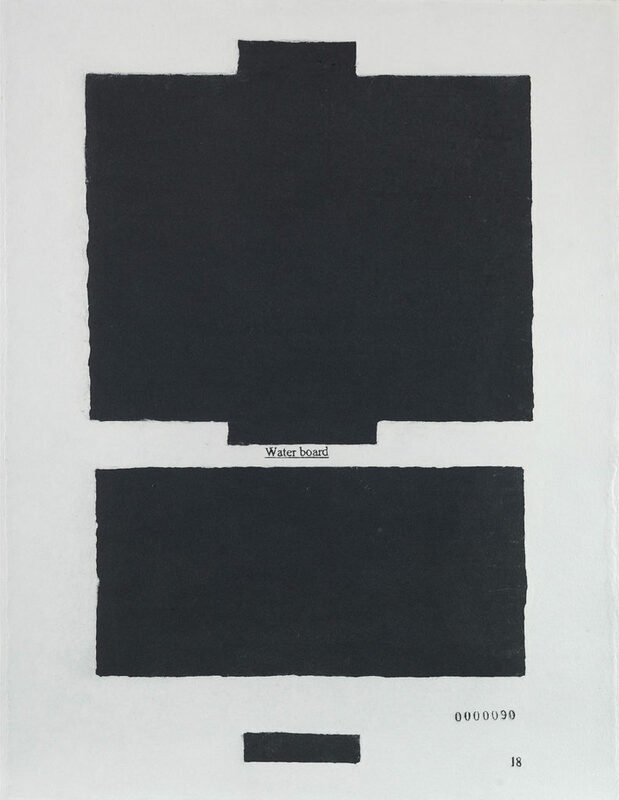 During a search for subject matter relating to previous LED projections, the artist found a number of redacted US government documents related to the wars in Afghanistan and Iraq, where little text is legible. Using the documents as the basis for a series of paintings and prints, Holzer replaced the censored components with distorted stripes or heavy bands in black. While the works allude to the art of Kazimir Malevich, Ad Reinhardt and the prints of Richard Serra, the term “Waterboard” emblazoned on each piece reminds the viewer that the basis of this series is contemporary and political, rather than avant-garde or minimalist abstraction. In 2018, the Tate Modern in London mounted a solo exhibition. The New York-based artist is represented by Hauser & Wirth (New York, Los Angeles, Somerset) and Sprüth Magers (Berlin, Cologne, London, Los Angeles, Hong Kong).